We had a very good time yesterday, with a good sighting of 5 lions at Lake Manze. As the season begins to dry, we start seeing more and more wildlife moving to any permanent water body, as the thirst begins to set in. Wildebeest and Zebra require water every day, so their movements will be governed by enough shade for when the Wildebeest ruminate and the Zebra relax, and the need for both food and water. This lures our predators in, and they await the arrival of animals coming to drink. This is the typical behaviour of these 5 lions, two adult lionesses and their offspring. 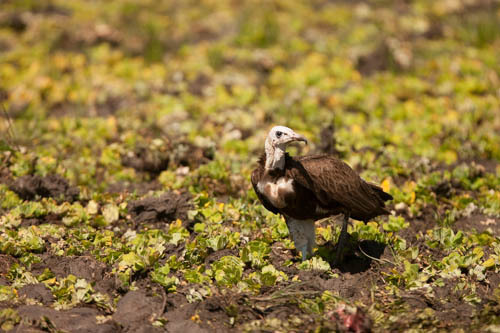 But it wasn’t just the lions which had killed a young wildebeest, and ate it all up, leaving only remnants of their meal for the Hooded Vulture to scavenge on. It was also looking out and seeing large densities of Open-billed stork, an immature Black-headed Heron and a mixture of other water birds, including; Cattle Egret, Common Squacco Heron, Little Egret, Great Egret, Sacred Ibis, African Jacana and African Spoonbill; all together in the green Water Lettuce. All feeding amongst this alien vegetation unfortunately, but feeding on fresh water snails, and other tasty morsels in between the leaves of these plants. 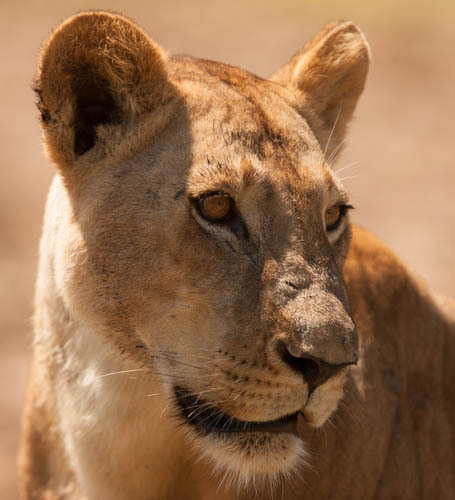 As we sat glancing and taking this all in, we had one of the lionesses get up and wander right past the vehicle, with not even a slight glare at the vehicle. She was looking at a more comfortable spot of shade with level ground. Unfortunately her pride members didn’t quite get up and follow with such enthusiasm as she had, with one of her offspring finding itself calling her back as he didn’t feel like moving between the two vehicles watching them. It is always amazing to assess how habituated these cats can become, but then no surprise when you have vehicles coming to watch you, after a period of time, you couldn’t bother. Was a great setting, a nice active lion sighting on a glorious day, who could ask for anything more. 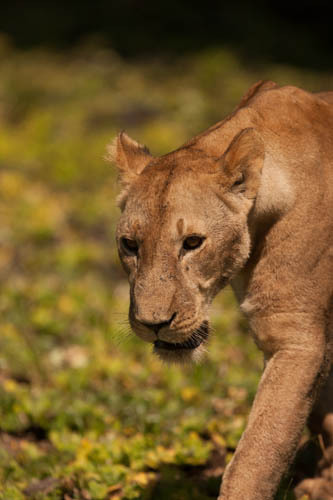 This entry was posted in Walter, Wildlife and tagged Beho Beho, camp, lions, safari, selous, walter. Bookmark the permalink.